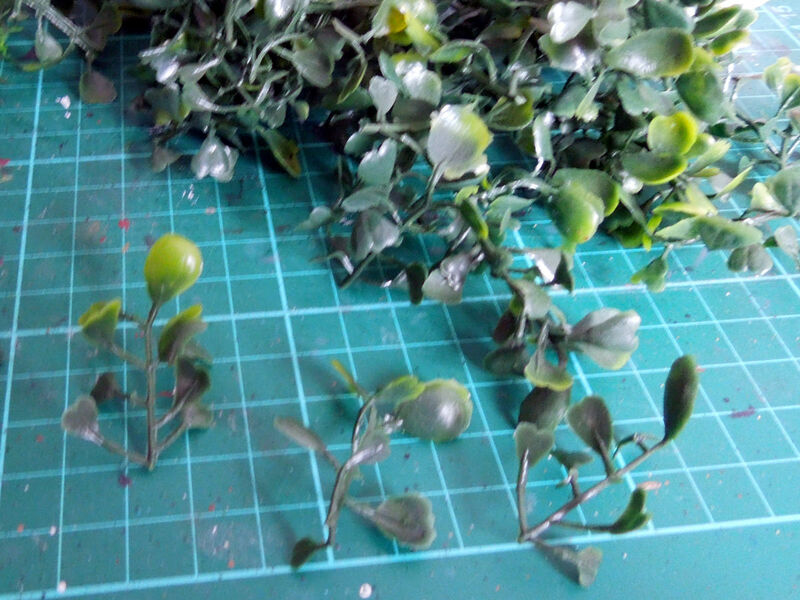 There was a variety of ‘foliage’ types and I brought home two, a spear leaf variety (plasticus vulgaris) and a broad leaf variety (plasticus orientalis). The small ones measure about 7” across and consist little plastic caps, each sprouting 4 plants each, snapped on to a spiky plastic cage in two hemispheres. Each ball has a little over 120 spikes which, cleaned of it’s foliage yields nearly 500 plants! 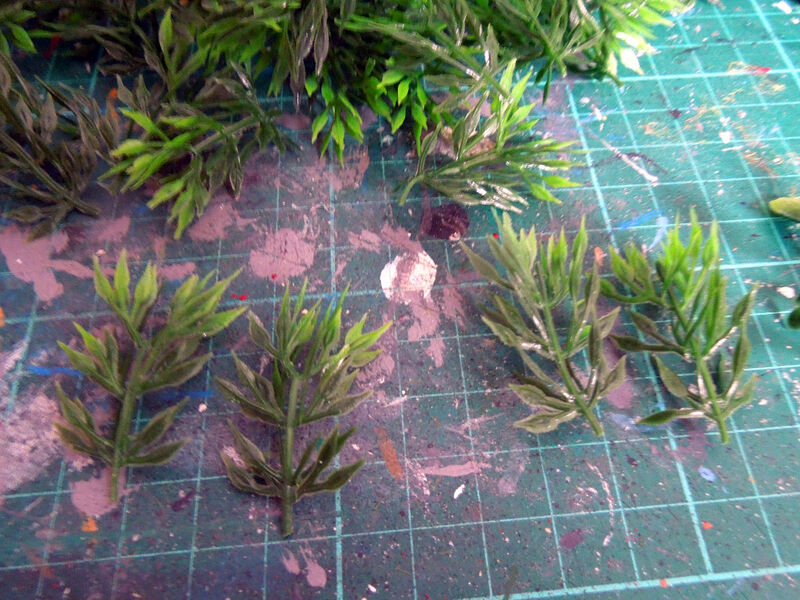 I could have kept the plants attached to their bases arranged as fours, but I wanted greater variety in my final terrain. I also noticed an opportunity for the denuded caps. 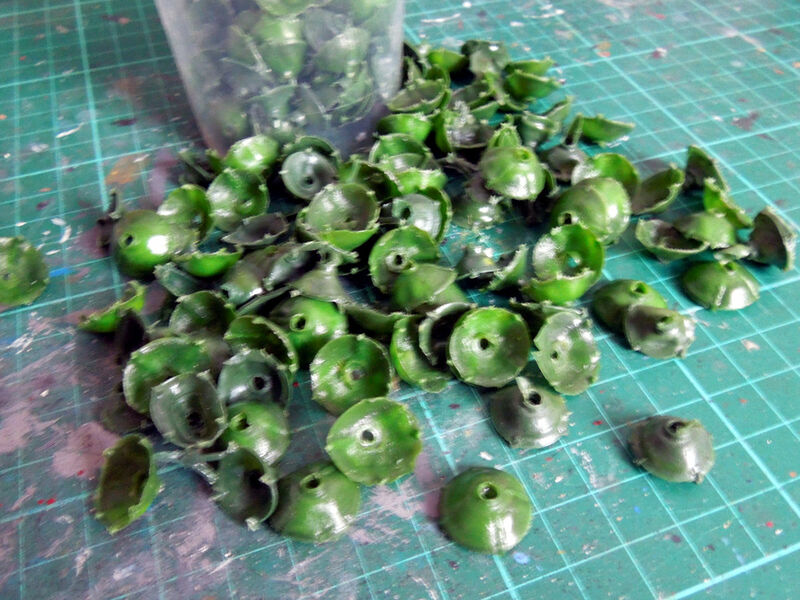 Once I had all my plants I used a dremel to drill 2mm holes in a MDF bases of varying sizes, from 25 - 50mm in diameter. The larger bases would also hold larger ‘aquatic plants’. 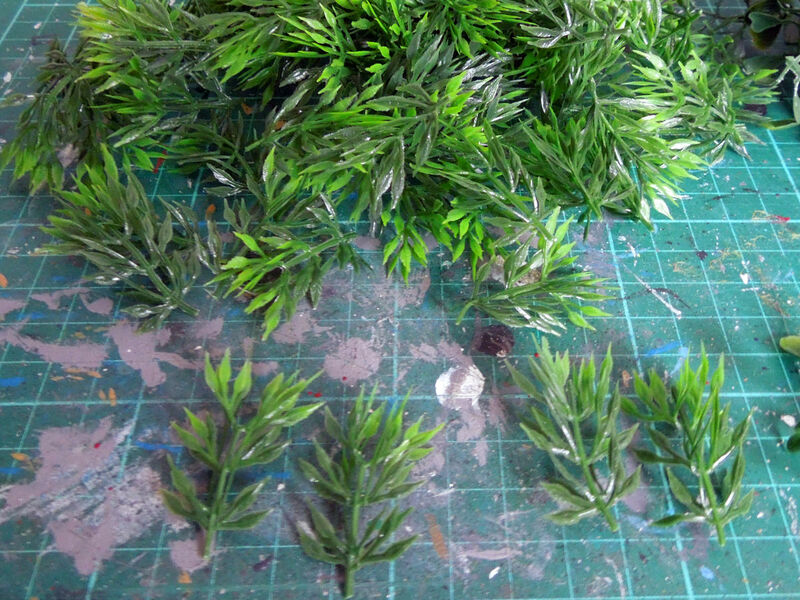 I then dipped the base of each stem in PVA and planted my foliage. I clipped some plants to break the uniformity of heights. 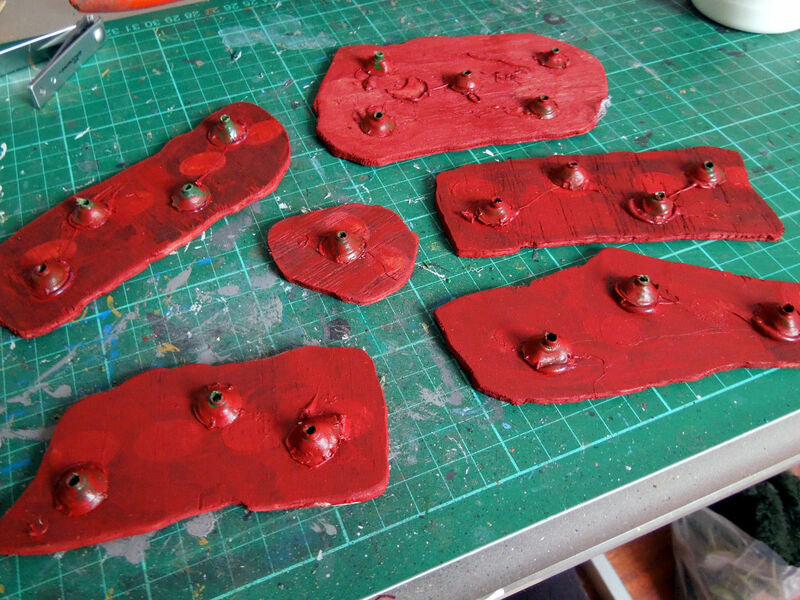 The result was a quick, effective and cheap production of scatter terrain pieces. 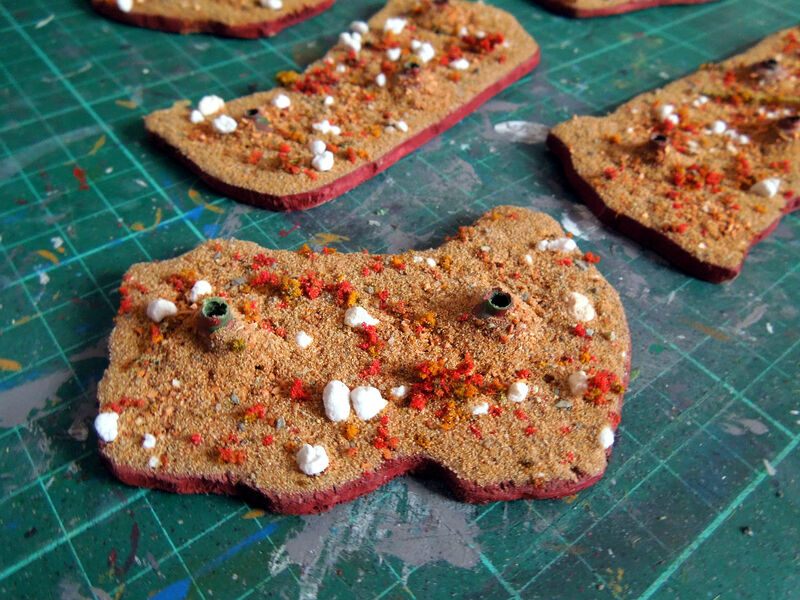 I’ll eventually paint and flock the bases with my usual recipe of sand and scatter material. 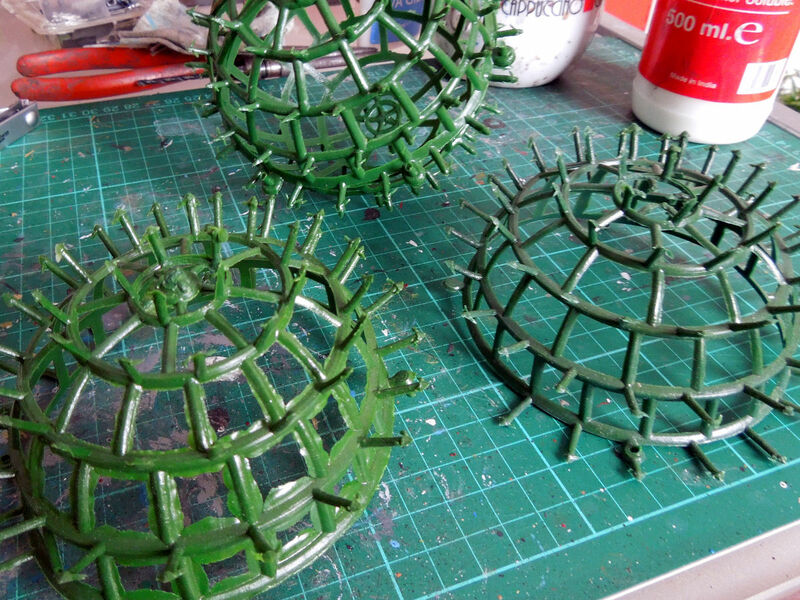 I also ended up with four cage like domes - an ideal starting point for a fantasy yurt or exotic prisoner/beastie holding cage. As for the caps I through they would make ideal holder for trees. I’ve been long looking for a better solution to mount trees. Individually mounted they always fell over during the game, but mounting them in multiple stands was too restrictive. A few minutes with a dremel cutter and I had a bunch of organic shapes cut from light plywood (and old wine box insert). I then fixed the caps with a hot glue gun, once hardened I used a 3.5mm drill in a pin vice to clear the holes. 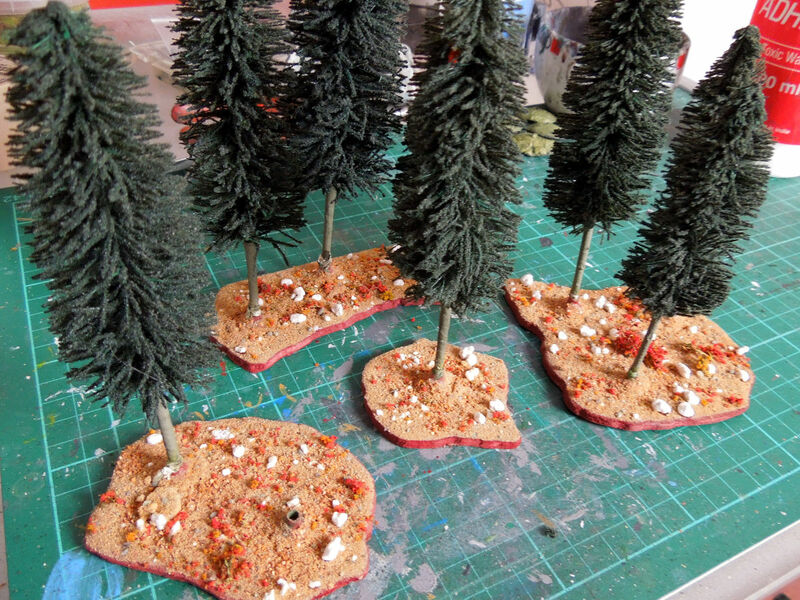 Then painted & flocked the bases. 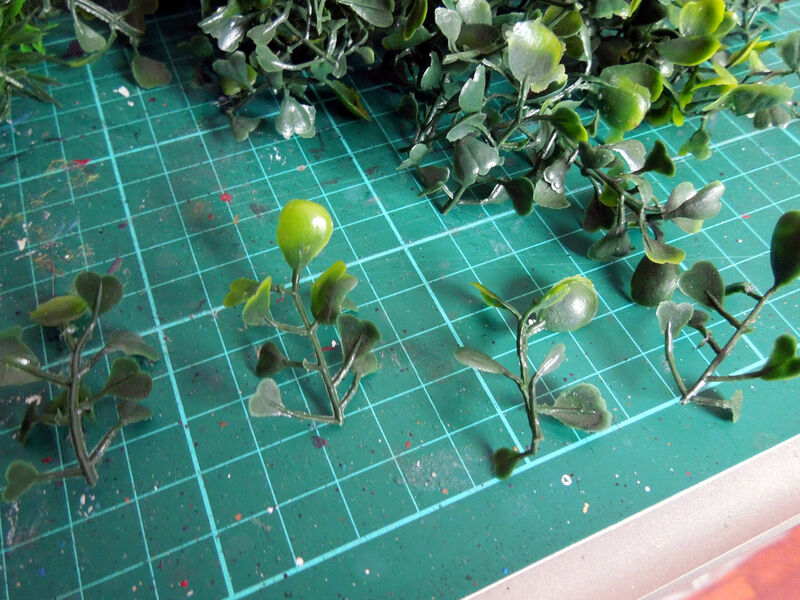 The result is a selection of tree bases of multiple shape and sizes. 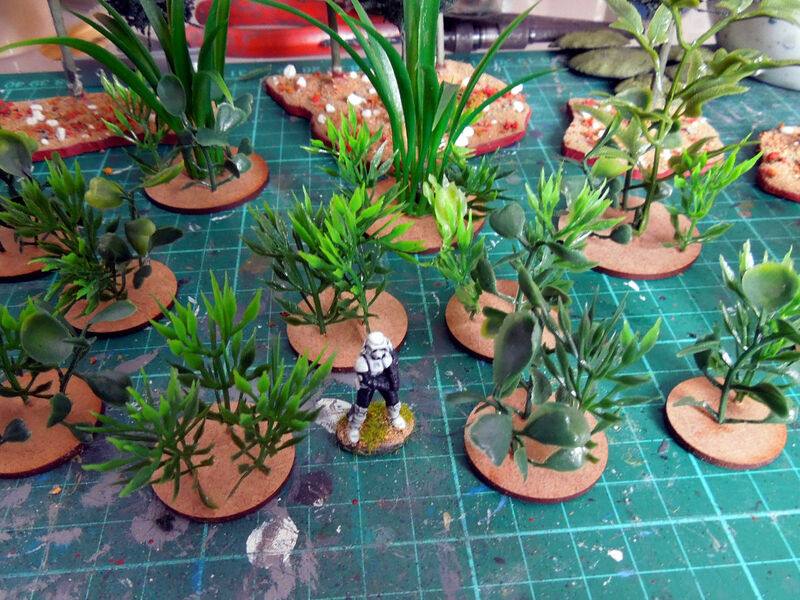 The trees slot firmly in the plastic cap allowing me to create any arrangement, even a few empty bases look okay among the trees.